The United States men’s hockey team beat the Russians in a thrilling, riveting, and classic contest in front of Russian President Vladimir Putin at the Sochi Games 34 years after the US’s “Miracle on Ice” win at Lake Placid. The Americans won 3-2 on Saturday after the eighth round of the overtime shootout that saw Los Angeles Kings goalie Jonathan Quick stonewall the Russians while St. Louis’s T.J. Oshie, selected in part because of his skills in the shootout, took six of the eight shootout attempts in overtime, converting on four, including the game winner. Oshe took all five shots for the U.S. when the shootout when into extra rounds. Big-time players win big-time games on the biggest stages. 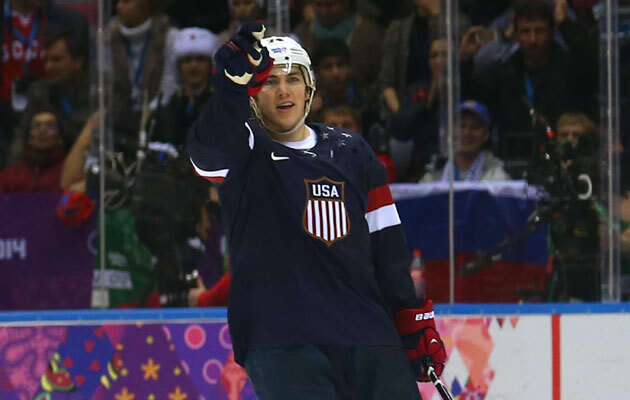 And Oshie and Quick willed the U.S. past Russia, picking up the other after mistakes in the shootout session. After Oshie scored his decisive goal, he pointed down the ice at Quick, who stopped three of the five shots he faced in the overtime of the shootout session. 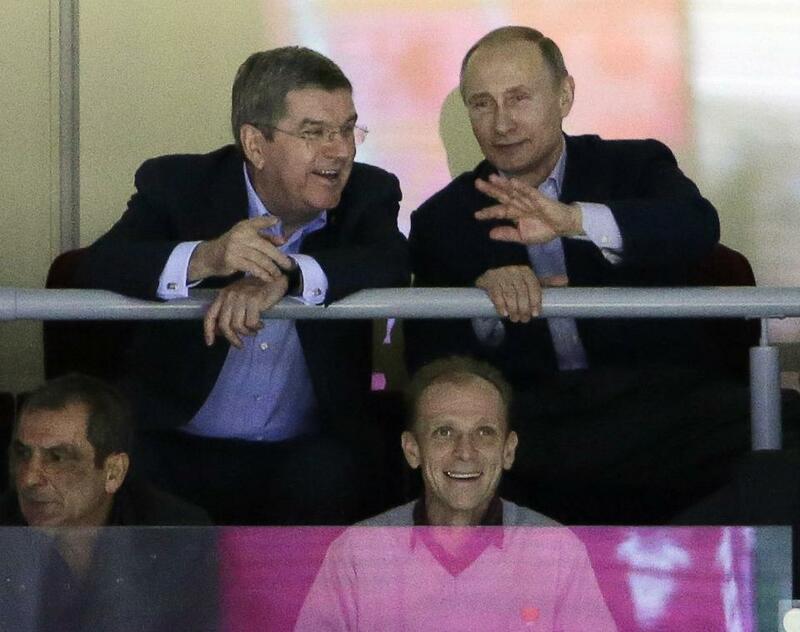 Both were cool, calm, and collected on the world’s biggest stage. International rules are different, allowing for hockey players to shoot repeatedly if the shootout goes into sudden-death overtime after the the first three players shoot for each team. 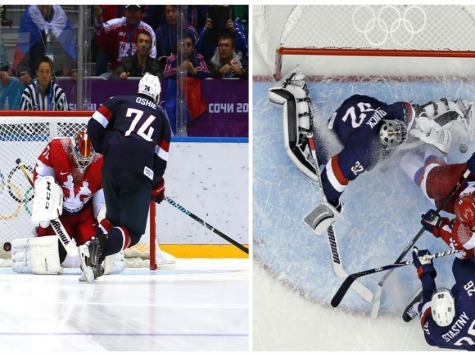 And the U.S. went all-in on Oshie, who admitted after the game that he had been running out of tricks during the shootout. Cam Fowler and Joe Pavelski scored for Team USA in regulation while Russian captain and Detroit Red Wings star Pavel Datsyuk scored both times in a back-and-forth contest that saw a third–and potentially decisive–Russian goal disallowed because of a dislodged net minutes before regulation ended. Quick made 29 saves after what, at times, seemed like wave upon wave of red Russian jerseys flying at him on Russia’s home ice. There will be no rest for the weary, though, as the U.S., which only got two of three points with the overtime win, will play Slovenia on Sunday and will need to win to ensure a bye to the quarterfinals.